Part of the fantastic ‘Homefire’ range of smokeless coal, Phurnacite is a high performance smokeless fuel which is designed for use on closed appliances such as glass fronted stoves, room heaters, cookers, and boilers. 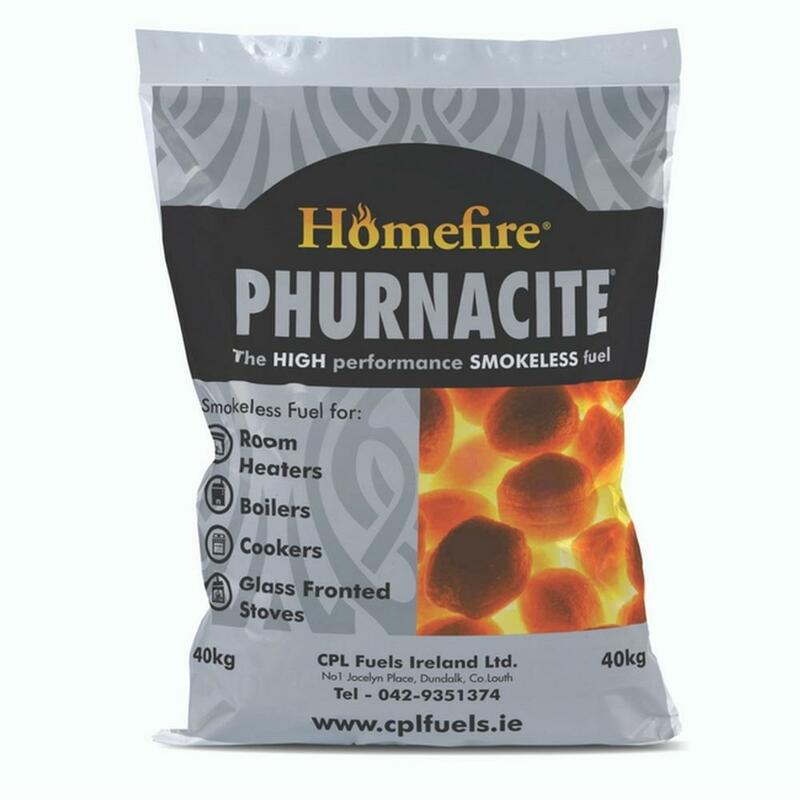 Phurnacite smokeless fuel provides a long lasting, consistent, and controllable heat output that will last for up to 18 hours. Phurnacite produces up to 80% less smoke than house coal while still delivering an unbeatable performance.